For our project at DubHacks, we were inspired by the hackathon’s focus on social impact to make a product that enables someone on the other side of the world to live life like we do. 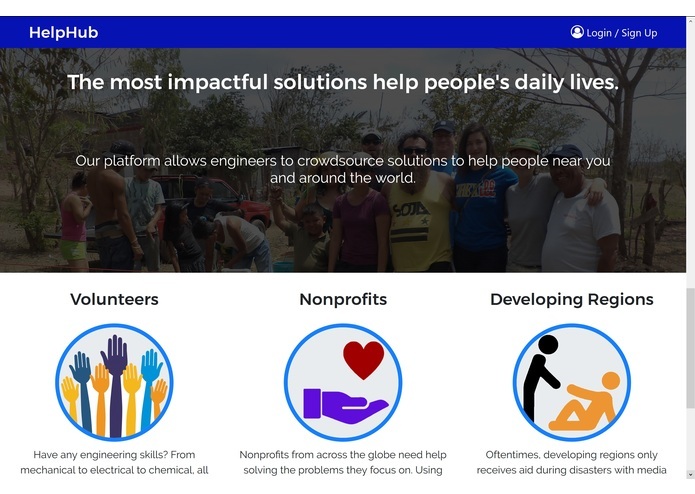 Our project, HelpHub, aims to do this by providing a crowdsource platform for engineers and makers to donate their skills and time to work on projects that help people in need of solutions for hardships in their daily lives. We decided to make this product due to our belief that many of the problems facing people in need around the world surround fundamental sources of hardship in their daily lives, from having proper infrastructure to access to clean drinking water. As members of the hackathon community and open-source community, we have seen people’s willingness to help others and work together in organically creating solutions that help everyone. 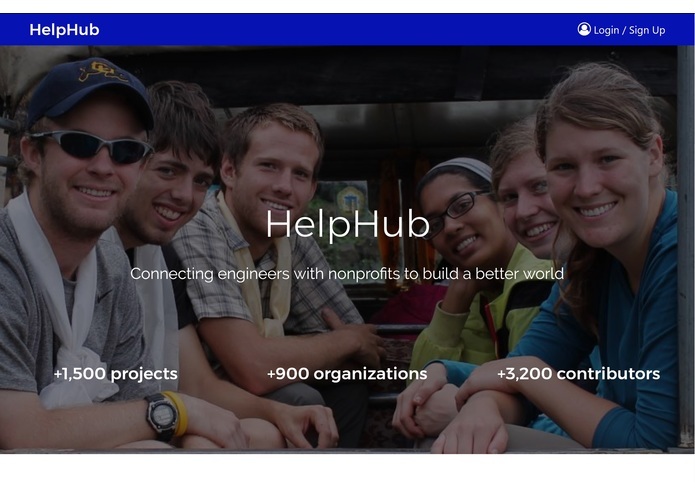 HelpHub aims to accomplish the same dynamic of open-source solution building, for social good. We provide a platform for organizations and individuals to create projects around problems facing people in need. Engineers, developers, and makers alike can then navigate across the HelpHub network to find projects that fit their skillset, and join the effort. 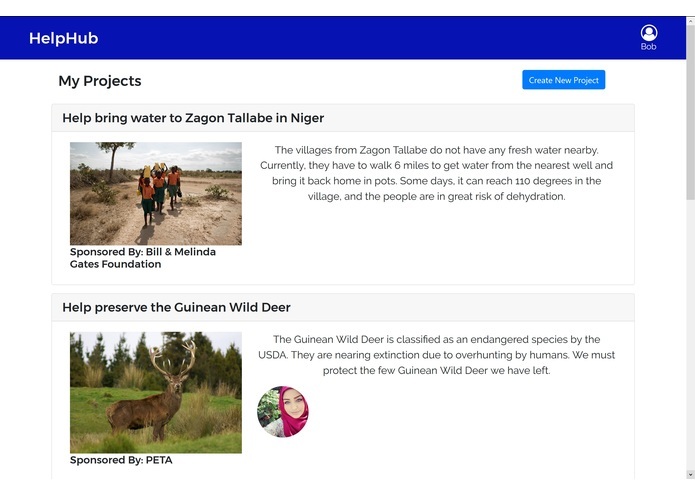 Moreover, HelpHub helps facilitate the progress of projects by allowing project contributors to create progress updates on their individual work and edit the projects’ documents and workflow, similar to GitHub. Project owners can continue to monitor the project’s progress, and external non-profits can additionally fund projects they are aligned to.